Umuato village has a huge achi tree located at the centre of the village square. The tree talks at midnight. Every Umuato native is aware of this mysterious tree. If a person goes to the tree at midnight and complains to it about his or her problems, it is believed that the tree would talk back and solve the person's problems. Recently, Ekemma has developed an irrepressible urge to visit the tree at midnight. She was hoping that she would tell the tree about her sorrows—about her inability to conceive a child after ten years of marriage. Her mother-in-law, Mama Okwudili, hasn't been making things easier for her. On many occasions, she would call Ekemma a barren woman and threaten to bring another woman to replace her as wife for her son, Okwudili. Ekemma's husband, Okwudili, hardly did anything to stop his mother from harassing his wife; he would just sit there, looking on in solemn silence like an oluku. For Ekemma, enough is enough. She would decide on a day when she would visit the talking tree. On a quiet Friday night, after making sure her husband and mother-in-law had slept off, Ekemma sneaked out of the compound and headed straight to the achi tree at the village square. The darkness was thick and the roads deserted. Once at the village square, Ekemma walked to the tree, placed her hands on the trunk and then lay down flat before the tree. 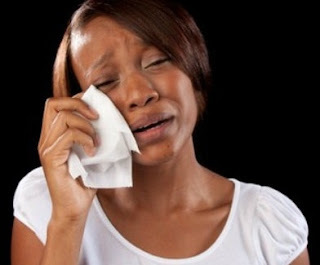 Ekemma wailed nonstop, yet the tree didn't say a word to her. The more she cried before the tree, the more silent the night became. She was about getting up from the ground when she heard a voice. 'Rise up, Ekemma!' The voice was strong and loud. Ekemma's heartbeat turned faster. She shivered and buried her face in the sand. The voice came again, even louder, now thunderous to her ears. Ekemma continued to tremble. Slowly, she opened her eyes. Her sight cleared and she beheld a face. It was her mother-in-law, Mama Okwudili, waking her up from one of those kind of dreams you experience when you feel a little feverish before going to bed. Lolzzzzzz its just a dream??? But this Carl of a writer sounds like Nigerian goalkeeper! yeah,tanx for d correction! ndewo! Hahahhahaa. U will fear dream o. Nice one! Treat Malaria Asap. Childlessness. Worst thing on earth.